Babatunde is the Director and Head of Capital Markets Division at United Capital Plc, a leading Investment Bank in Nigeria quoted on the Nigerian Stock Exchange. 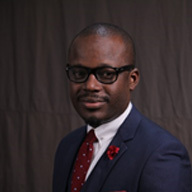 Babatunde has oversight responsibility for transaction origination, structuring, arranging and execution covering the spectrum of debt and equity capital needs of corporate and government entities. He possesses extensive cognate experience in fixed income and equity capital markets; as such has played a pivotal role in originating and executing several notable landmark transactions in the Capital Market space in Nigeria raising in excess of $2bn in fresh capital for various corporate institutions and Government entities both sovereign and sub-sovereign.